When WMS manages your financial affairs, you partner with professional advisors with over 50 years of combined experience in providing advanced financial planning strategies. Because we are independent, you get unbiased, customized financial planning specifically designed to turn your dreams into reality. Since risk is an unavoidable element of any investment, risk management is at the core of the firm's values and investment approach. Marla K. Ringling, CPA, CFP®, MT, CLTC, PFS is an innovative CPA/CFP® with a strong accounting and tax background who brings over 20 years of experience as a valued business consultant to a wide variety of businesses. Read More. 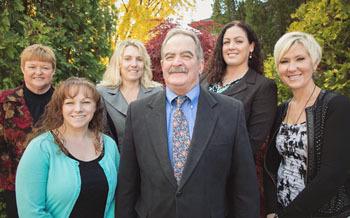 William P. ‘Bill’ Dougherty, CPA, CFP®, PFS, the owner and principal of Dougherty & Associates CPA’s since 1990, Bill is an accounting and Financial Services entrepreneur providing financial and tax advice for over 25 years in the Coeur d’Alene/Post Falls, Idaho area. Read More. Count on the WMS team for Navigating Your Financial Success! Check the background of your investment professional on FINRA's BrokerCheck. Securities offered through Cambridge Inestment Research, Inc., a Broker/Dealer. Member FINRA - SIPC, to residents of Arkansas (AR), Arizona (AZ), California (CA), Colorado (CO), Florida (FL), Idaho (ID), Kansas (KS), Maryland (MD), Montana (MT), North Carolina (NC), Oregon (OR), Pennsylvania (PA), Washington (WA). 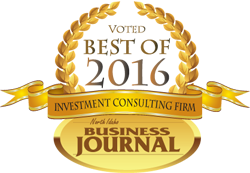 Fee-based investment advisory services from this representative(s) available only to residents of Arkansas (AR), Arizona (AZ), California (CA), Colorado (CO), Florida (FL), Idaho (ID), Kansas (KS), Maryland (MD), Montana (MT), North Carolina (NC), Oregon (OR), Pennsylvania (PA), Washington (WA).